It is not San Francisco, it is not New Orleans, and it is not Calgary where international craft beer festivals take place. No, it’s none of these places. The Beer Week is happening in our very own Gurugram, or er…Gurgaon as it has been for donkey’s years. But let’s leave that argument for another day. Is this for real or what?! And we are sure all beer lovers like us are exclamating (yes, we coined this new word for ‘happy shocked exclaiming’) on how lucky we are going to get. 8 days of sensational craft beers, available at 50% discount or 1+1 offers at the participating breweries. And if that doesn’t have you sold on the idea, there are master classes, beer crawls, food pairings…yes, that much! What you need to do? Get your beer week bands for 399 bucks and bliss out for an entire week. A beer fest our very own! Scheduled from 11th June to 18thJune 2016, Beer Week powered by Zomato is a 8 day series fuelled by events that will take place in Gurugram breweries to unite thousand of craft beer enthusiasts & food lovers for a unique tippling experience. So come on then, which one is it that floats your boat? Barley, wheat, corn, rice or rye? Or every single one of them? We sure love them all and cant wait to attend these awesome sessions planned with some of the top names in the Brew Business like celebrity brewmaster Ishan Grover. Ooh yes! The, BW Beer Crawls are going to happen. Definitely not to be missed. 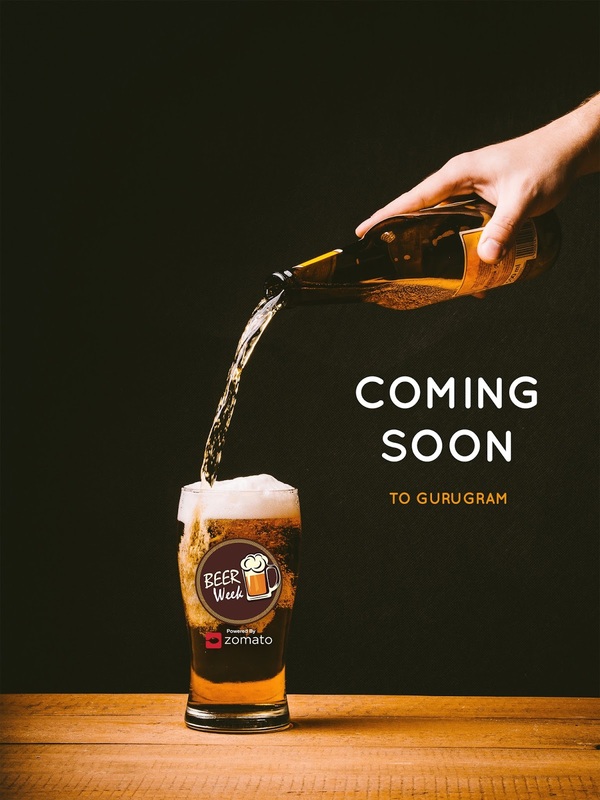 They promise to be an energizing exploration of Gurugram’s night life with vibrant fellow pub-trotters like never before where guests will be able to mingle with the personalities behind the craft beers being served. After 2 successful editions of Cocktail Week in Delhi and Mumbai, AMM Hospitality embraces this synergy by bringing together some of Gurugram’s finest food and craft beer pairings, partnered by India Bartender’s Guild, My Sprinterz, What’s Hot, Elixir Coterie, Counted One, Insider.in, Dilsefoodie and India Culture Hub and official blog partners, The Epic Pick. Take note people, good times are right around the corner! Dates: 11th – 18thJune 2016. Access: Standard access – INR 399 with eligibility to avail unlimited discounted craft beer from Fresh brew menu across all participating breweries for 8 days. All participating breweries will be offering 50% discount or 1+ 1 offers on their fresh brews for 8 days.